Unlike full-time academics, conferences make up very little of my yearly schedule. When I can make one, I find them rewarding and encouraging as they highlight how far interest and research have come since the subject of ‘suppressed’ or ‘entartete’ music was first raised in the mid-1980s. It’s fascinating to see how certain sub-genres have broken away to form their own disciplines. 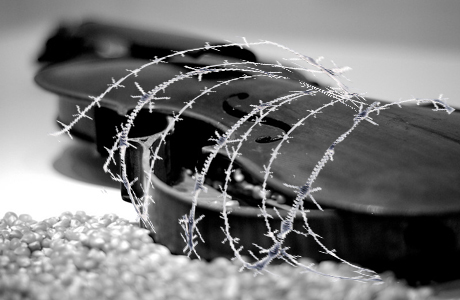 There is now a daunting amount of scholarship devoted to music of the camps and the ghettos. This is now expanding with emerging research on the music of displaced-persons camps. Music of Resistance is another field that has produced its own specialists and there is on-going research in areas that are far beyond my own horizons: cantorial, liturgical, Yiddish song, klezmer along with aspects of Zionist song and folk music. Compared with such diversity, my interests in banned music for the concert hall and opera house appears increasingly narrow. In general, however, ethnomusicology and the Holocaust still seems marginalised with limited research on the lost music of the Roma and Sinti. And the bottom of this posting is a link to the Colburn School lectures. There were two very complementary conferences this August – complementary as August is a month of school holidays in the northern hemisphere and term-time in the southern. As both conferences took place under the auspices of conservatories we ended up with the Los Angeles Colburn School conference full of musicologists and the New Zealand conference full of students. 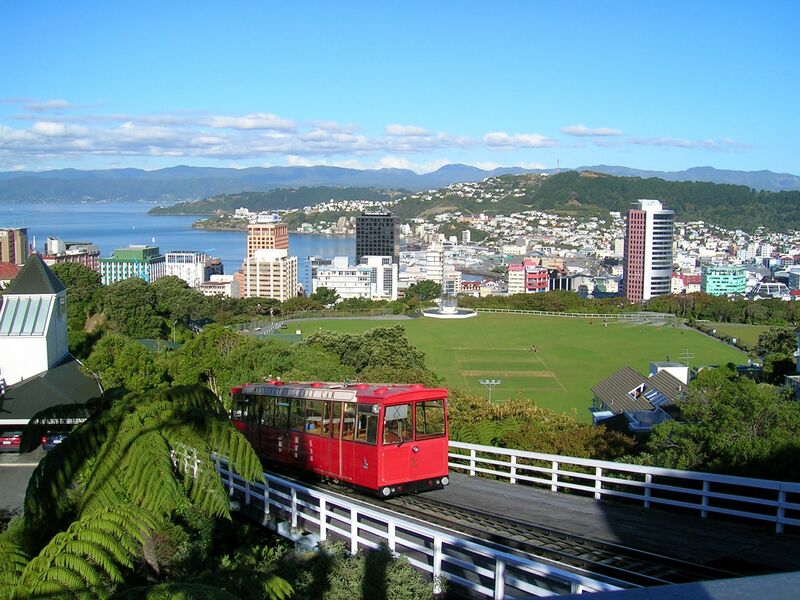 The Los Angeles event, organised by Orel Foundation’s Robert Elias and Prof. Michael Beckerman, took place over a weekend, whereas in Wellington New Zealand, it lasted nearly a week. 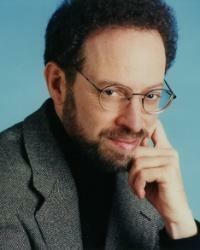 Los Angeles offered a platform to some of America’s most highly regarded scholars and music commentators: Richard Taruskin (who acted as unofficial chairman to presentations); Alex Ross, James Loeffler, Christopher Hailey, Michael Beckerman, Bret Werb, Barbara Milewski, Patricia Hall and many others. It was rounded off with conductor James Conlon speaking on the censorship of the market that keeps the unfamiliar out of performance planning and scheduling. The Wellington conference presented appropriately strong academic support from Joseph Toltz, Tanya Tintner, Laurence Sherr with additional musicologists and historians from Australia, Belgium, Switzerland, the UK and America. By taking place during term time, and given the political and geographical dimensions of Wellington, Prof. Donald Maurice, associate director of the Te Kōkī New Zealand School of Music in Wellington, (part of Victoria University), along with Dr Simone Gigliotti, aided by Lucy Gijsbers and Stephen Gibbs managed to turn a four-and a half-day symposium into a city-wide ‘happening’. The mayor of Wellington along with the Minister for Culture gave speeches and attended various events. 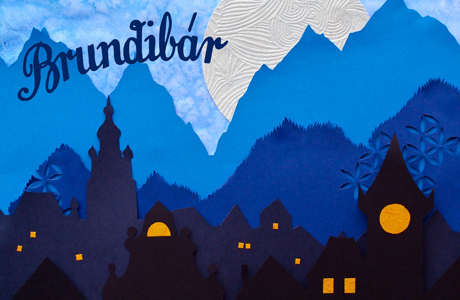 Local schools not only mounted and performed Hans Krasa’s children’s opera Brundibar, but even made a documentary that was shown in the opening half of the programme. The school, parents and teachers all pitched in to produce a colourful and vibrant staging. The documentary involved the children speaking to survivors via video link, and then trying to digest their experiences in the context of their own young lives. The Orchestra of the New Zealand School of Music along with the Wellington Youth Orchestra mounted two full orchestral concerts. The NZSM offered Mieczyslaw Weinberg’s cello concerto with the young Israeli Inbal Megiddo as soloist, along with a large-scale work by New Zealand refugee composer Richard Fuchs – but more on him later. The Wellington Youth Orchestra concert featured a brave go at Shostakovich’s 8th (!) Symphony – yes, you read that correctly! It was a good deal more than a valiant attempt at one of the most challenging orchestral works of the past century. The inevitable pitfalls of performing such a work with youngsters aside, the kids came up with the goods, offering the required energy and introspective sensibility with technically assured soloists in wind, brass and strings. These teenagers will have little to fear in future. It probably takes the innocence that comes with geographical distance, along with youthful confidence, to take up such a work. I’m not so sure a European youth orchestra would be quite so bold – and I should add, that this was the Wellington, not New Zealand Youth Orchestra. New Zealand is not a large country, and Wellington is hardly a megalopolis, so goodness knows how they managed to find the hordes of talented kids to perform such a monster. Every Wellington morning started with a student or faculty member recital. Indeed, there were no fewer than three musical events every day. The flexibility of the students and faculty at the conservatory was impressive: a violinist in one recital conducted the orchestra in another; the pianist who gave us a performance of Schoenberg’s piano pieces op 19 conducted the choral concert. Everyone reset the stage, shifting pianos, moving music stands, selling tickets and cheering on their colleagues. 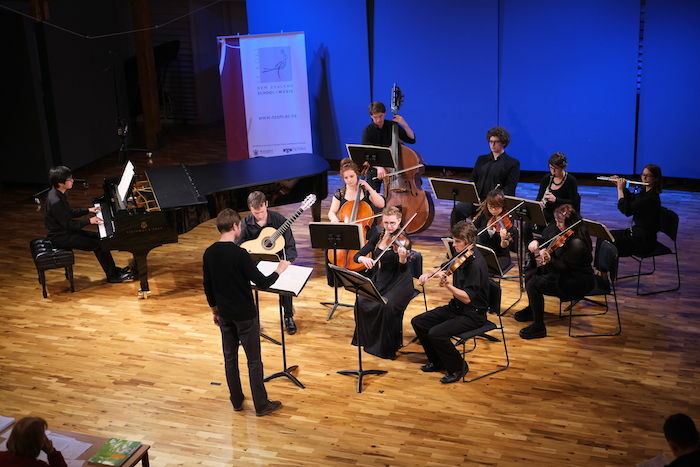 The performances were as fine as could be heard at any of the world’s major music schools. There was a carnival atmosphere and kids often performed with their shoes kicked off without ties and formal concert garb. They were naturally easy and relaxed with their teachers and visiting academics. The concerts and presentations took place in a variety of venues across town and there was a sense that everyone in Wellington was participating, or at least aware of what was going on. The conference in Los Angeles seemed very ‘grown up’ by comparison. But this should not be taken to imply that there was no student participation at all in Los Angeles. It was, after all, the summer break and the school was empty. Nevertheless, a piano trio by Mikail Gnessin was performed by recent Colburn graduates, the Saguaro Trio. (not the musicians in the youtube clip above) Michael Beckerman and James Loeffler followed their technically perfect performance with an examination of the various motifs, while explaining the provenance of each and offering a visual key to the architecture of the work. The kids admitted to not having given the trio much thought beyond the technical ramifications of its performance demands. Perhaps it was only down to the piano lid being lowered to half stick for the repeated run-through, but when they played the work after hearing Loeffler and Beckerman’s explanations, it seemed transformed. It underlined in a practical manner that performing a work intelligently requires more than just hitting the right notes at the right time in precise synchronisation. It goes without saying that the Colburn musicians were not only technically, but musically flexible. Without their alert responsiveness, the Loeffler/Beckermann explanations would have been pointless. It was a demonstration of the sort of practical cross fertilisation between performers and historians that is too often missing. This repertoire, simply due to its unfamiliarity, demands informed interpretations. Nevertheless, there was definitely a sense that Los Angeles was adult focused, whereas Wellington was all about the next generation. The concerts inserted into the Colburn schedule served as a relief from heavy-duty papers, many of which, such as Christopher Hailey’s on the music publishers Universal Editions under the NSDAP, offered new research leading to new insights. In Wellington, it tended to be the other way around. Papers were scheduled around performances and on several occasions, they simply segued into them. Where there was a fundamental difference in approach was in the localism of Wellington compared with Los Angeles. With Wellington’s mayor and New Zealand’s Minister of Culture in attendance, New Zealand itself was the focus, with papers on its musical émigrés and their contributions. Both conferences offered important discoveries. In Los Angeles, we encountered Mikhail Gnessin, an unfamiliar composer who appeared, based on the single trio we heard, (To our Murdered (Jewish) Children op. 63), to fuse Jewish subjects seamlessly into the conventional Late Romantic language demanded by the Soviets of the day. 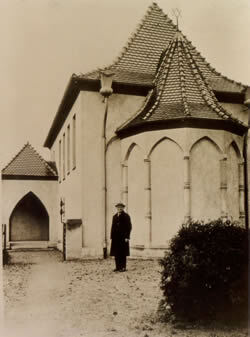 Another important discovery was the German/New Zealand composer Richard Fuchs, who prior to 1933 had been a successful architect with a number of his buildings now under protected status in his native Karlsruhe. He was also an amateur painter, but beyond his profession and hobby, he was primarily a composer who had letters of recommendation from the likes of Wilhelm Furtwängler. Read more about him at Richard Fuchs Collection He was active in the Jewish Kulturbund and his large-scale work for chorus and orchestra entitled Vom jüdischen Schicksal – of Jewish Destiny, presented listeners with an unsettling challenge. 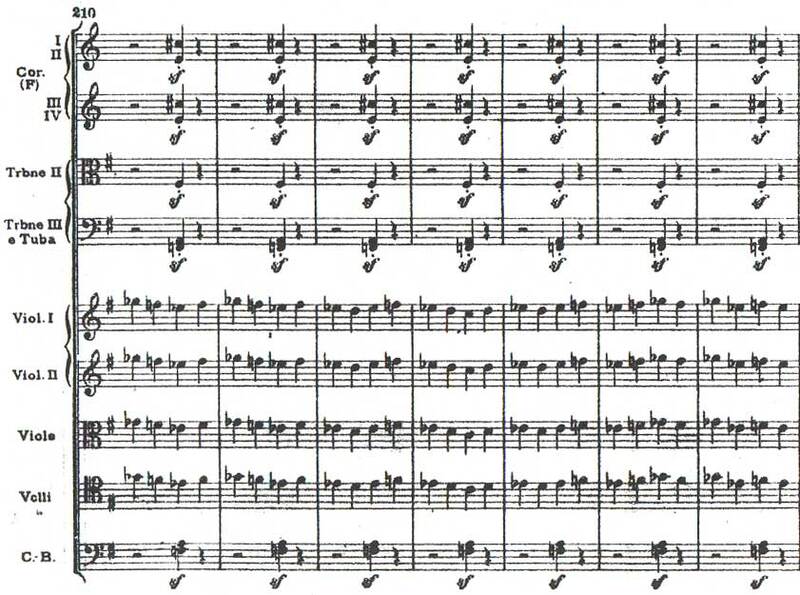 If composers such as Zeisl, Rettich, Schoenberg, Toch and even Korngold dipped a compositional toe into the waters of ‘Jewish’ music, Fuchs offered a more disturbing dialectic. He took a Jewish setting by Karl Wolfskehl and set it to music that was defiantly German. As Prof.Tim Jackson observed in an accompanying documentary, Fuchs wrote music using the language ‘of the perpetrator’. Well, yes and no: he wrote the most ‘German’ music he could, which he set to the most Jewish German text he could find. The result was its banning by the Nazi authorities from performance at the Jüdischer Kulturbund. No official explanation was offered, but hearing Vom jüdischen Schicksal it becomes quite clear that Fuch’s sound-world of Schumann through a Wagnerian prism, was simply too shamelessly German and not sufficiently ‘Jewish’. Jewish compositions for the Kulturbund were meant to distance themselves from German music. With vom jüdischen Schicksal, Fuchs simply put two fingers up to the Nazis in charge of the Kulturbund and its activities. The music reminded me of Ernst Pepping’s Second Symphony. Certainly it’s not what might be called the Late Romanticism of Gustav Mahler, Richard Strauss, Franz Schmidt, Hans Pfitzner or Joseph Marx. 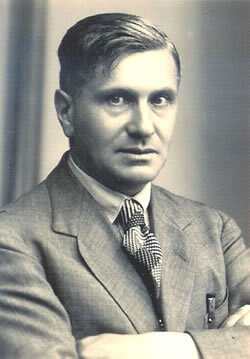 Fuchs not only defied the Nazi unilateral declaration that Jews were not German, but did so using music that represented the height of Germany’s musical dominance. It was a work of unashamed 19th century grandeur. We encountered a new aspect of ‘Suppressed Music’ once we recovered from the shock of hearing nationalist German music with a defiantly Jewish text. To call it ‘the music of the perpetrator’ misses the point: It was in every sense, Music of Resistance. Fuchs was not prepared to allow Hitler to determine Jewish claims to German identity. Vom jüdischen Schicksal was also a world premiere, having lain dormant since its rejection by the Kulturbund. There was a certain irony in its premiere taking place in a St Andrew’s Church in front of a huge wooden cross. Further concerts in New Zealand offered works by Georg Tintner: three songs for soprano, a Violin Sonata and Ellipse for soprano and string quartet. (The above youtube performance comes from students at London’s Royal College of Music) Tintner was a Viennese composer who landed in New Zealand in 1940. He too was a composer of individuality while largely keeping to Late Romantic conventions. He struggled to make a living as a jobbing conductor and seems to have gravitated from one provincial orchestra to another until Klaus Heymann decided that he was the man for the Naxos series of Bruckner symphonies. It was an unexpected success, though hardly surprising. Tintner was a serious musician and Bruckner had been a speciality since his days as the first Jew to be accepted by the Vienna Boys’ Choir. Tintner’s Bruckner recordings sold hundreds of thousands and garnered reviews that proclaimed them as exemplary and preferable to other more noted interpreters. Yet he saw himself as a composer who also conducted. Perhaps he could have made it as composer had he not been thrown out of Austria in 1938. He committed suicide in 1999. The fate of Meta Overman, a post-war refugee from bombed out Rotterdam was hardly better. She was a composer in all genres, including operas – a pupil of Willem Pijper in Holland. 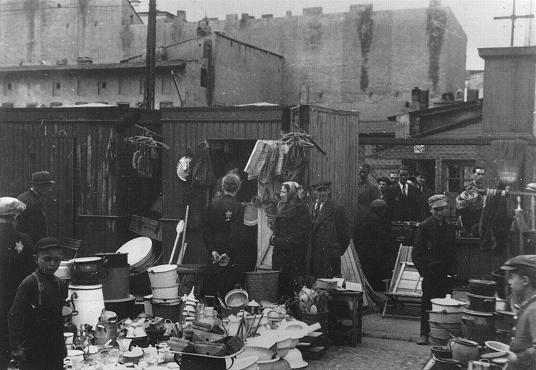 Though not a refugee from Hitler’s tyranny, she fled the city his Luftwaffe flattened. Like Tintner, she found antipodean safety while leaving her spirit artistically discombobulated. 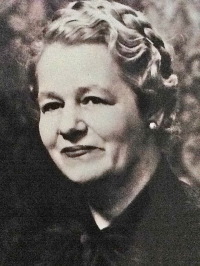 The pianist Jeanell Carrigan has recorded her entire output for piano, but spoke enthusiastically of a composer who unlike Tintner and Fuchs, was uninhibited by developments in 20th century music. She died in Perth having been active as a musician in Western Australia. The Ziering-Conlon Initiative at Colburn School was a very different sort of project. It took the subject ‘Music, Censorship and Meaning in Nazi Germany and the Soviet Union: Echoes and Responses’. My own talk can be found elsewhere on this blog: Beyond Ideology Richard Taruskin’s mention that Weinberg had hitched his horse to the Socialist Realism cart, at a time when Shostakovich was being attacked, along with Christopher Hailey’s remark that Paul von Klenau described the 12-tone system as ‘a perfect musical vehicle of the fascist movement’ only underlined how weighed down we remain by the political positions of composers throughout the previous century. In my presentation, I painted with a broad brush and allowed details to be explained by others. Barbara Milewski presented the dilemma of post-Nazi Polish identity as represented in the film Forbidden Songs; Bret Werb from Washington’s National Holocaust Museum spoke about self-censorship in Yiddish songs in the camps and Ghettos; Derek Katz spoke about the ensemble ‘The Comedian Harmonists’; Lily Hirsch provoked with a polemic that analysed contemporary approaches to studying the efforts to examine music lost in the Holocaust – it was in effect, a critical study of the studiers; Alex Ross spoke about Parsifal in the III Reich; Christopher Hailey spoke of the publishers UE in the 1930s; Patricia Hall examined Alban Berg’s guilt by association and Kenneth Reinhard spoke on concepts behind staging Schoenberg’s Moses and Aron. 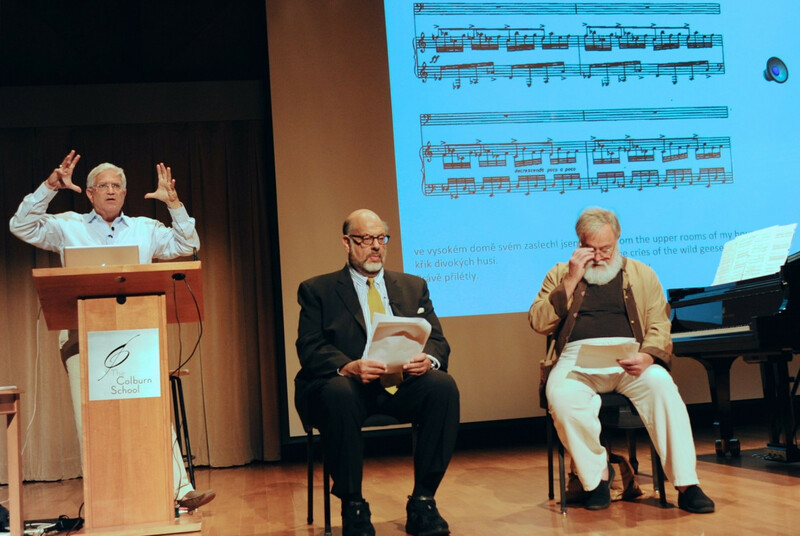 There were extremely creative musical events such as the Gnessin lecture-performance outlined above, but perhaps more moving was Michael Beckerman’s idea of taking the Chinese Songs of Pavel Haas, written in Theresienstadt and reading the original texts in Chinese, followed by their adaptations and translations into Haas’s songs. Wellington’s week was called ‘Recovering Forbidden Voices – Responding to the suppression of music in World War Two’. It was a massive project in which anyone who wished to participate found something to do. Its focus was inevitably more practical and less theoretical, though there were scholarly lectures in abundance. Perhaps the most unexpected and enjoyable was the opening lecture by Prof. Piri Sciascia on Māori World War Two songs. Indeed, several Australian visitors mentioned that New Zealanders were much further along in their peaceful and seemingly fruitful coexistence with Māoris than Australians with Aborigines. As it was my first time in that part of the world, I’m in no position to question or confirm. However, there were plenty of young people of Polynesian/Māori stock participating in all events and Māori expressions and greetings were integrated into everyday language. His modules for bringing young people closer to the subject are intelligent and well thought-out and would seem to be successful. Another memorable presentation was made by Dr. Joseph Toltz from Sydney on personal memories and songs from survivors of the Łodź Ghetto. I wish I had time to attend more of these conferences. They provide a unique platform for presenting new material and stimulating new ideas. As I wrote above, Fuchs’s music at the Wellington conference presented dilemmas, such as I addressed in my talk at the ‘Music and Censorship’ symposium. If we listen to it, ‘face on’, yes, it is ‘Nazi music’ – ‘music of the perpetrator’. But look at the texts and listen again. It suddenly becomes the very opposite. Indeed, it’s the reverse of the Nazis taking well-loved songs by Hanns Eisler, ditching the Marxist texts and inserting their own racist lyrics. We need to learn to listen to the music before we condemn it. And if we condemn it, let’s condemn it on musical terms and not on the personal politics of the composer. Thanks for letting me know. One other person contacted me regarding the soundfiles on the Schreker article, but so far, no other comments about images/files etc. not loading. Sorry for your Problems. If you establish that they’re with WordPress, please let me know. Thanks for the heads-up on a potential issue. Nice write-up of your experiences. One little correction: After leaving Holland Meta Overman lived and died in Australia, not New Zealand, with a period back in Holland. In all I’ve read about her there is no mention of ever visiting NZ. In 1954 she composed ‘Prayer for Harp’ for the wedding of my parents in Albany, Western Australia. She also set some of my father’s poetry. Thank you for this correction. I’ll make the Change to the article accordingly.